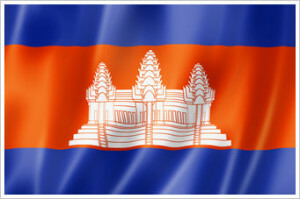 Cambodia has permitted dual citizenship since 1996. How can you acquire Cambodian citizenship? children not recognized by the parents, but the court has passed a judgment stating that the child was born from at least one Khmer parent. Those born in the Kingdom of Cambodia to foreign parents who were born and living legally in the Kingdom of Cambodia or to unknown parents also acquire Khmer citizenship at birth. Those born to at least one Khmer parent, regardless of the place of birth, are entitled to citizenship. mental and physical aptitude which will not cause danger or burden to the nation. Those married to a Khmer spouse may apply for citizenship after 3 years of living together, after registration of a marriage certificate. Khmer citizens do not lose their Khmer citizenship because of their marriage with foreigners. Why allowing dual citizens to vote from a broad is important?